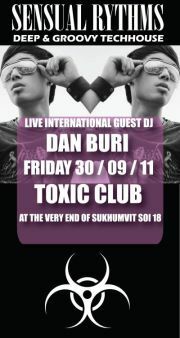 After the success of last Friday DAN BURI is returning to Club Toxic by popular demand. DAN BURI, a young DJ from Bangkok, found his love for electronic dancemusic with just 18 years. 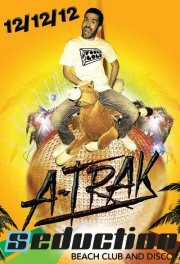 Former rapper in a hip hop crew, today an upcoming DJ, who is going to proove his abilities in Europe and Asia. 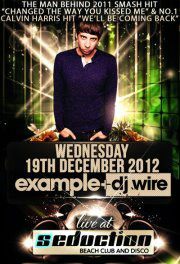 Since 2009 he is playing in the most renowned clubs in Thailand and stood at more than 200 Gigs behind the decks. 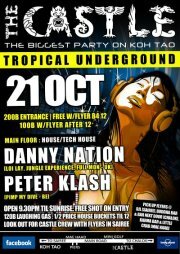 He started the project ” Black and White ” in Bangkok under his pseudonym ” Danny Black ” , which he founded with his friend and DJ partner Toby White. Besides of this project DAN BURI established an event agency called ” Bangkok City Beats “, which is organizing events and event tours since 2009. His ability to catch the energy from the dancefloor and reflecting it back to the crowd makes him very popular among his fans. His charisma paired with his individual musical selection makes him a unique artist, who should not be missing on a special event. Whithin 2 years, DAN BURI could solidly establish himself and played besides of great, internationally respected DJ’s such as Marco Bailey, Tube & Berger, Namito, Dan Caster, Toby Montana, Sister Bliss ( Faithless ), Nakadia, Paul Lomax, Oskar, D.Ramirez and many more. Toxic is a very distinctive place with a flair, which invites friends to a gathering, enjoyment of nice house music and drinks! With a beautiful design, this place makes you feel a unique atmosphere, where you can either hang out with your colleagues, make some networking or just come alone and meet new interesting people! Come in and find out the spirit of TOXIC!